102cm cutter deck, Pro Spec Honda GCV 530 engine with variable Hydrostatic Drive and Versamow™ selective mulching. With outstanding V-Twin engines, Versamow™ selective mulching, and tough bumper protection, our Premium ride-on mowers are built to last and take on any lawn. 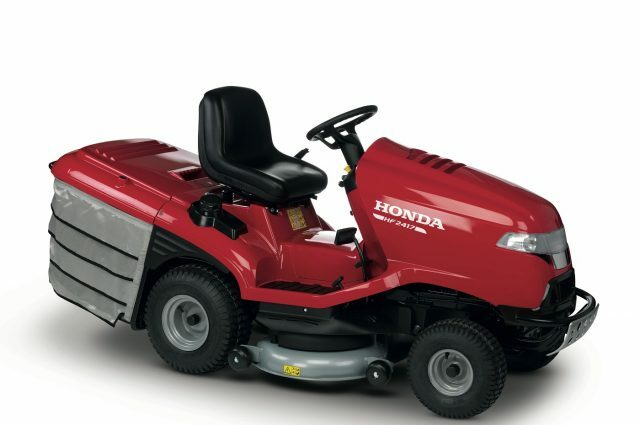 The Honda Premium lawn tractor is the best garden machinery you can own. Cutting, mulching and collecting leaves on a large lawn, parkland or sports ground couldn’t be easier. In fact, they’re so comfortable, you won’t want to get off! 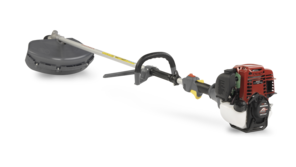 HF2417 is available with hydrostatic transmission controlled by a single pedal and offering step-less control. Honda R&D team has developed Optiflow, an advanced grass collection system which reduces power loss and the acumilation of dust by combining powerful suction and a constant flow of air, to completely fill the grass bag. The HF2417 has Honda’s Versamow™ selective mulching. With a single lever, the machine will either collect grass cutting into the bag or finely shred and blow them into the lawn for a natural fertiliser. All our Premium lawn tractors are fitted with a clear and user-friendly control panel, displaying the information you need to keep mowing. 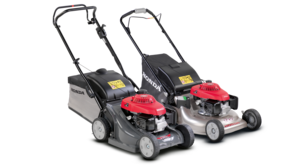 The HF2417 is fitted with a timing belt that maintains a synchronised 90° angle between the blades – the result; improved cutting with less uncut areas (even when turning), a smoother ride due to the reduction of vibrations and an optomised air flow, improving grass collection and mulching. 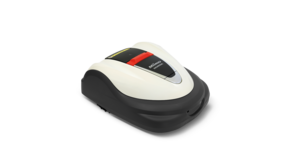 All our ride-on mowers include the Roto-stop® system (controlled via the yellow button), which allows you to stop the blades quickly and safely, without having to turn the engine off. Ideal when you need to empty the grass bag, clear debris, or traverse paths and driveways. All of our Premium range come with with a cast iron front axle and bumper, ensuring solid performance in the most toughest conditions. Whatever the grass condition, they’ll give you the result you’re looking for. And a big smile when the job’s done. These lawn tractors are a collection of simple, innovative engineering ideas. But that’s not the only thing that makes them different and unquestionably the best. You’ll notice the difference as soon as you see the shiny red body finish. The way the panels fit, the seat material, the firm steering wheel and the way the hand controls feel in your hands – in fact, you might not be able to keep your hands off them. Built around a strong chassis, with a sturdy cast iron front axle and a strong low-maintenance V-twin engine, these machines have many other features that prove why a Honda is an excellent choice. Honda renowned ingenuity has developed a blade arrangement using the synchronous method. With the synchronised timing belt, it allows the blades to spin together constantly at a 90˚ opposed angle, providing a smooth and effective cut and collection. 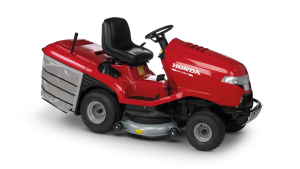 With a Honda Premium Lawn tractor you’ll get much better cutting and mulching performance with this type of blade configuration. All you have to do is drive…The blades have seven different height settings from 30cm to 70cm, and working inside one cutter deck, provide a much better airflow for gathering up the cuttings. 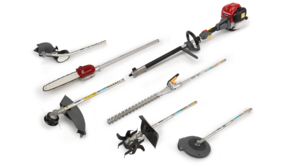 This is essential for maintaining the high levels of collecting performance and at the same time, dramatically reducing any risk of clogging. We’ve brought what we’ve learned on the road into your garden. Years of research from our motorcycle and car engines is applied to our Premium lawn tractors, producing the best possible engines for lawn care and management. Our Premium lawn tractor engines have a decompression system that makes the engine easier to turn over from start up. The ‘Pro’ spec engine has cast iron cylinder sleeves and crankshaft bearings for longer life, along with a larger air filter for improved performance. It’s the best 4-stroke you can ride. They’re both economical on fuel and have the lowest emissions in the industry.